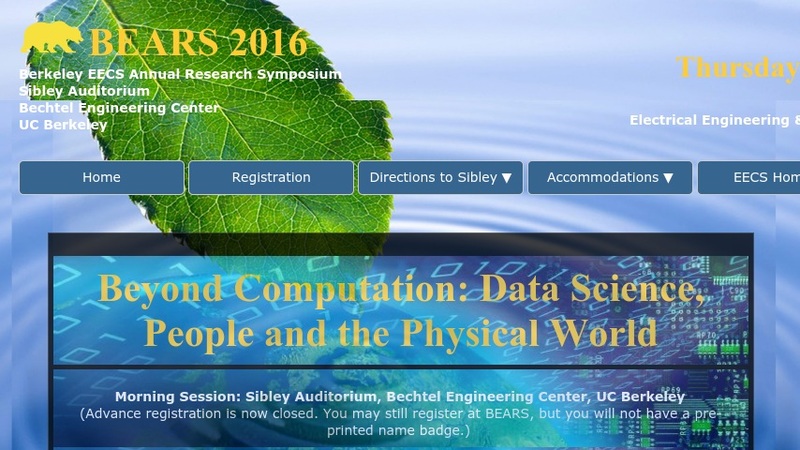 The Berkeley EECS Annual Research Symposium (BEARS) is a conference hosted by UC Berkeley's Electrical Engineering and Computer Sciences department in the College of Engineering. This website provides the agenda for the 2005 BEARS (held on February 10 and 11) along with information on the presenters and abstracts and video footage of their presentations. The conference highlights work from EECS scientists on "advances enabling computing and communications to connect diverse aspects of our world." Topics include: wireless networks, optical communication, the future of the internet, embedded software, machine learning, security, and trust.